Asiad Steels is one of the renowned exporters, manufacturers and suppliers of Duplex Stainless Steel UNS S31803 Round Bars. Meanwhile these, Duplex 2205 Round Bars is the most widely used duplex (ferritic/austenitic) stainless steel grade. It finds applications due to both excellent corrosion resistance and high strength. 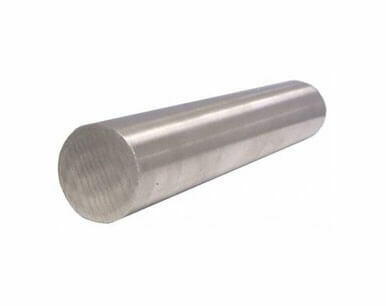 Duplex Stainless Steel UNS S31803 Bars is two-phase, ferritic, austenitic 22% chromium, 3% molybdenum, 5 to 6% nickel alloyed stainless steel. Duplex Steel UNS S31803 Bars also demonstrates good fatigue strength, as well as outstanding resistance to stress corrosion cracking, crevice, pitting, erosion, and general corrosion in severe environments. Duplex UNS S31803 Bars is the most common duplex grade in the market. Duplex 2205 Bars is widely used in oil & gas, hydro power, pressure vessels, pulp & paper, structural components and chemical tankers. Duplex 2205 Rods are nitrogen enhanced duplex stainless steel that was developed to combat common corrosion problems encountered with the 300 series stainless steels. The structure of 2205 duplex stainless steel round bars consists of austenite pools surrounded by a continuous ferrite phase. Usage of 2205 Duplex steel bars should be limited to temperatures below 600° F. The combination of chromium, molybdenum and nitrogen convey the good resistance of Alloy 2205 Round Bars to chloride pitting and crevice corrosion. 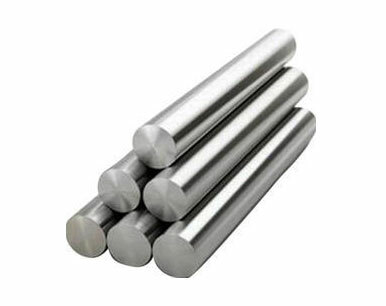 The high chromium, molybdenum and nitrogen contents of Alloy 2205 Bars provide corrosion resistance superior to common stainless steels, such as, 316L and 317L in most environments. 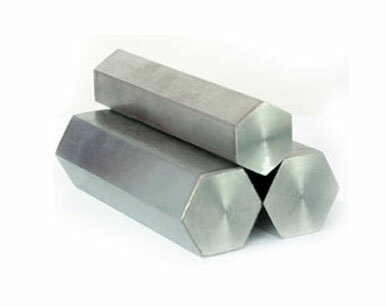 Alloy 2205 Rods has excellent general corrosion resistance, superior to Grade 316 in most environments. Duplex UNS S31803 Rods is not intended to be used at temperatures above 300°C due to embrittlement. Buy Duplex Steel UNS S31803 Round Bars at reasonable rates from us. We are Exporter of Duplex S31803 Round Bars in Worldwide Such as India, United Kingdom, Mexico, Taiwan, Romania, Costa Rica, Singapore, Brazil, Trinidad & Tobago,Tunisia, Sweden, Nigeria, Russia, Hungary, Nigeria, Germany, Morocco, Belgium, Poland, Bahrain, Lithuania, Poland, Mexico, Libya, Japan, Lebanon, Bulgaria, Denmark, Spain, Kenya, Bhutan, Tibet, Argentina, Nepal, India, Egypt, Philippines, Turkey, Serbia, United States, Israel, Canada, Azerbaijan, Afghanistan, China, Croatia, Norway, Kazakhstan, Yemen, Gambia, United Arab Emirates, Kuwait, South Korea, Bangladesh, Colombia, Chile, Czech Republic, Qatar, Zimbabwe, Australia, Bolivia, Jordan, Indonesia, Algeria, Finland, Estonia, Macau, Slovakia, Greece, Switzerland, Ghana, Austria, Belarus, New Zealand, Venezuela, Portugal, Iran, Angola, Thailand, Malaysia, Ireland, Netherlands, Oman, Hong Kong, Namibia, Peru, Chile, Vietnam, Pakistan, Iraq, France, Iran, South Africa, Gabon, Puerto Rico, Italy, Sri Lanka, Saudi Arabia, Ukraine, Mongolia, Ecuador. We are Suppliers of Duplex S31803 Round Rods in India Such as Mumbai, Chennai, Ankara, Rajkot, Moscow, Vung Tau, Singapore, Mumbai, Port-of-Spain, Jamshedpur, Bhopal, Istanbul, Visakhapatnam, Ahmedabad, Aberdeen, Jakarta, Tehran, Muscat, Bengaluru, Mexico City, Sydney, Bogota, Dallas, Abu Dhabi, Manama, Gimhae-si, Melbourne, La Victoria, Santiago, Thiruvananthapuram, Brisbane, Rio de Janeiro, Busan, Granada, Colombo, Indore, Perth, Al Khobar, Milan, Toronto, Kuala Lumpur, Ernakulam, Bangkok, Kanpur, Seoul, Ulsan, Courbevoie, Nagpur, Madrid, Ludhiana, Montreal, Doha, Pimpri-Chinchwad, Chiyoda, Geoje-si, Noida, Hong Kong, Pune, Jaipur, Surat, Howrah, Kolkata, London, Hyderabad, Vadodara, New York, Houston, Hanoi, Caracas, Cairo, Coimbatore, Atyrau, Nashik, Baroda, Ho Chi Minh City, Dammam, Sharjah, Edmonton, Al Jubail, Petaling Jaya, Karachi, Ranchi, Ahvaz, Haryana, Secunderabad, Lahore, Riyadh, Navi Mumbai, Calgary, Chandigarh, New Delhi, Dubai, Algiers, Gurgaon, Jeddah, Thane, Faridabad, Lagos, Kuwait City, Los Angeles.